This coin features a smooth edge with an engraved horse privy mark instead of the usual reeding. Since 2013 Britannias are made from 999 pure silver although previously they were 958 pure silver (or "Britannia Silver"). 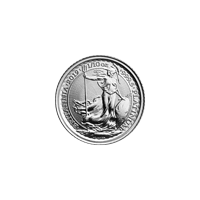 The Britannia and its heritage are a testament to the continuity of the Royal Mint. Get yours today and own a piece of this remarkable lineage. 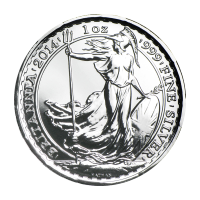 Reverse A Standing Britannia with shield, trident and olive branch and the words "Britannia 2014 1 oz 999 Fine Silver" and the artist's last name (Nathan) and a horse privy symbol engraved into the edge. A Standing Britannia with shield, trident and olive branch and the words "Britannia 2014 1 oz 999 Fine Silver" and the artist's last name (Nathan) and a horse privy symbol engraved into the edge. 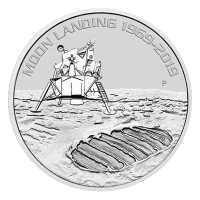 1 oz 2014 Britannia Lunar Year of the Horse Privy Silver Coin The Britannia is one of the oldest coin designs in the world. 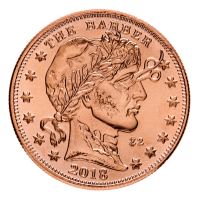 Dating back to Roman times, the first century A.D., and then reappearing on the farthing in 1672 and every British monarch's coinage ever since, it is easily one of the most recognizable designs of all time. Britannia was originally a Roman personification of the country of Britain (a regular custom for the Romans), but since about the second century A.D. has been referred to as a goddess, most often of the sea. 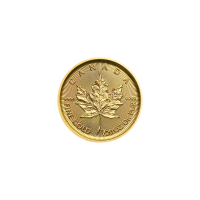 Although the reverse design of this more recent bullion coin changes every year and is sometimes standing, sometimes sitting, one thing remains the same, this "Lady of the Sea" stands as a reminder of the history of her heritage. The obverse features the Ian Rank-Broadley effigy of Queen Elizabeth II and the script "'Elizabeth 'II' D'G Reg' Fid' Def' 2 'Pounds". Both sides of this coin also feature a patterned border with "dentils" (the name for an architectural feature that is often used at the termination of beams in the ancient and Renaissance buildings). The reverse bears the design of Phillip Nathan and features a standing Britannia, with her hair blowing in the wind and her gaze fixed to the sea. She is wearing a helmet with a highly pronounced plume that evokes the design used by the Romans. She carries a trident in her right hand and in her left an olive branch and a shield bearing the Union Jack. The entire design is encircled by the dentil design and the words "Britannia 2014 1 oz 999 Fine Silver". 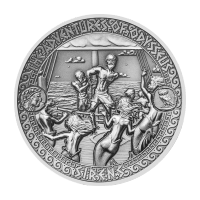 The coin also bears the artist's last name, Nathan, rather than the typical initials. This coin features a smooth edge with an engraved horse privy mark instead of the usual reeding. 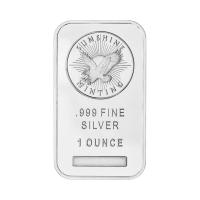 Since 2013 Britannias are made from 999 pure silver although previously they were 958 pure silver (or "Britannia Silver"). The Britannia and its heritage are a testament to the continuity of the Royal Mint. Get yours today and own a piece of this remarkable lineage.